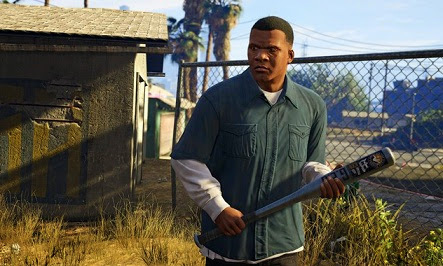 GTA 5 had its launch delayed on the PC. The open world game reaches computers on March 24, previously it was planned for release in January. In a statement, Rockstar apologizes to players and explains that the delay was necessary to "more weeks of testing and an extra polishing" the development of the game. The producer also released the minimum requirements to run the game on your machine. According to the disclosed information, GTA 5 requires at least a computer with Windows Vista 64 Bit, also compatible with Windows 7 and Windows 8.1, and an Intel Core 2 Quad 2:40 GHz or equivalent. The player needs to have even 4GB of RAM in your PC, and a 1GB video card with Nvidia 9800 GT powers, AMD HD 4870 or equivalent, compatible with DirectX 10. GTA 5 also requires hard disk space 65GB to install. The recommended requirements are even more demanding as an Intel Core i5 3.2GHz processor of 3470, 8GB of memory and 2GB Nvidia GTX 660 graphics card, AMD HD7870 or equivalent. The hard disk space remains the same - 65GB. Remember that the PC version of GTA 5 has some unique new features such as 4K resolution and a video editor for users to create their own "movies" in the game.